Whether you are a male seeking to dress as a female on a daily basis or you simply want to dress as a woman for a special occasion, such as Halloween, you may become frustrated as you attempt to give yourself a makeover. This is especially true if you naturally possess very masculine features, such as bushy eyebrows or a square jawline. Fortunately, there are some easy ways that you can feminize your appearance to look more like a woman. One of the most obvious physical differences between men and women is the presence or absence of facial hair. To make yourself look more womanly, shave your face using a new, sharp razor with multiple blades. The more blades, the closer the shave. 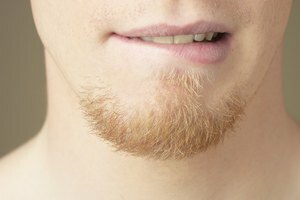 This will prevent you from developing a masculine looking "five o'clock shadow" as your facial hair grows. If you plan to dress as a woman on a daily basis, be sure to keep up with your shaving routine to prevent yourself from developing a beard or mustache. Thick, bushy eyebrows are generally seen as being masculine, so sculpting your eyebrows is an easy way to appear more feminine. Wax or pluck your eyebrows so that they are thinner and more shapely. Hair on other parts of your body such as your chest, arms, arm pits and legs should also be shaved, especially if you are wearing an outfit that will reveal these areas. As with facial hair, you will need to attend to these areas daily by shaving to keep them looking feminine. Makeup is very important in the process of making yourself appear more feminine. 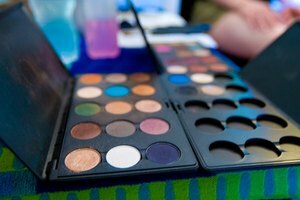 While you may choose to wear eyeshadow in assorted colors, false eyelashes or lipstick, foundation, concealer and face powder are essentials. Use concealer to hide any blemishes on your face and foundation to create a flat base for your powder. After applying face powder to even out your complexion, apply blush to the apples of your cheeks to create the illusion of more feminine cheekbones. You may also use highlighting power to add contours along the sides of your nose to create the illusion of a thinner bridge. Lip liner can make your lips appear fuller and more feminine. If your natural hair is short and cut in a style that is stereotypically masculine, you may consider wearing a wig in the color and length of your choice to appear more womanly. If you plan on dressing as a woman regularly, you can grow your own hair out and cut and style it in a more feminine manner. Dressing in female clothing will pull the rest of your feminine look together. Choose an outfit that flatters your size to pass successfully as a woman. You may consider wearing a bra with prosthetic breasts to create a more feminine figure that will enable you to better fill out clothing, though this is optional. Girdles may also be worn to slim the waist and accentuate the hips.